On 4 April 2019 the DATA MINING CUP (DMC) will enter its 20th year with a task from the field of fraud detection. The objective in this anniversary year of the international student competition is to uncover cases of fraud in mobile self-scanning in grocery retail as effectively as possible. Customers are becoming more and more independent, not just in the digital world but also in bricks and mortar retail. As an alternative to the classic checkout which can sometimes involve long lines, self-checkouts in the form of self-service checkout stations or mobile self-scanning are quickly on the rise. However, along with this increase in freedom comes a growing opportunity for fraud and it has become necessary to develop a solution to effectively monitor the scanning processes. The announcement of this task kicks off DMC 2019. Starting now, registered student teams can download the task at www.data-mining-cup.com and they have six weeks to submit their solution. This year, teams are to use the example of an established food retailer to expose as many cases of self-scanning fraud as possible without scaring away innocent customers with the monitoring process. Participants are given real, anonymized data as the basis for the mathematical model. Since the start of the DATA MINING CUP in 2000, prudsys AG has been challenging international teams with a tricky new task every year . Students can apply their theoretical knowledge to conduct intelligent data analysis on actual scenarios from real life. This year, 110 teams from 90 educational institutions in 22 countries including India, Brazil and Finland have already registered. Students can register their teams until 15 May. The deadline for submission is the next day. Prizes will then be awarded to the best up-and-coming scientists as part of the retail intelligence summit on 3 July 2019 in Berlin. 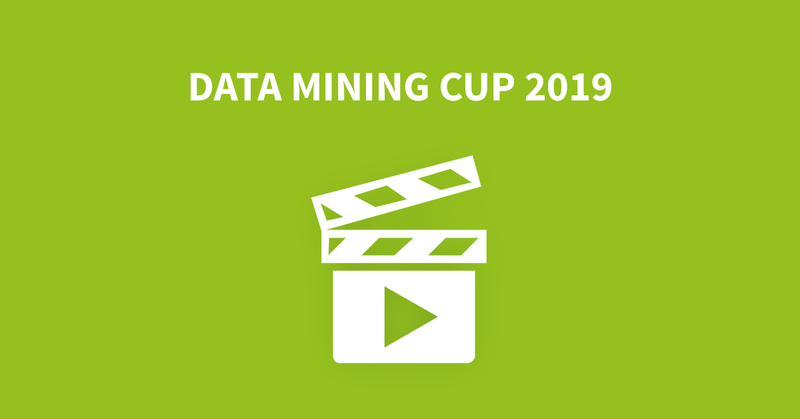 All of the dates and information regarding DATA MINING CUP 2019 can be found at https://data-mining-cup.com/. For information about the retail intelligence summit go to https://summit.prudsys.de.